Let’s face it; choosing a tradesperson can be daunting. Who do you call for a quote? Can they be trusted to work on your property? How do you know they will deliver a quality job with excellent customer service? The process doesn’t have to be painful. We’ve set out here to provide some practical and easy-to-follow steps that will ensure you end up with a great result, with minimal fuss. A simple Google search in Canberra will provide you with a place to start. Make sure that your prospective painter has a good website, a social media presence (such as Instagram and Facebook) and reviews. Are they accredited by a trusted brand (such as Dulux or the Master Painters Association)? The best approach is to ask around. Can someone recommend a painter they’ve used? Contact your nearest trade outlet as they deal with painters all the time and should be able to give you some names. A quality painter will insist on meeting with you to understand your needs and have a look at the project. You should receive a comprehensive written quote. It should break down the steps that the painter will take to prepare your surfaces and provide the finish coats. You should be able to ‘compare apples with apples’. It’s difficult to compare quotes based solely on price without looking at the preparation techniques, the scope of work and the materials being used. A good painter will provide you with a warranty, a follow up service and employ staff that are trained and experienced. A good painter will also be very happy to answer any questions if you are confused by any aspect of the quote. Painting can be a large investment, but it should last the distance if done properly. You should be able to ask for references from clients that have had similar work undertaken in your area. But in addition to this, it is important that you ask a few basic questions of your prospective painter. Are they insured? ‘Cheaper’ painting companies can cut costs by not carrying the right insurance. How long have they been in business? Canberra’s a small town, so this can attest to their quality and customer service. Does the company use contractors or employees? Happy employees that have been with a business for a while are a good indication that you are dealing with professionals. What brand of material is used? Some of the ‘cheaper’ brands cannot provide a warranty on their products. 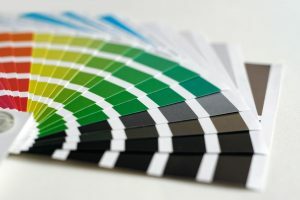 Make sure that your painter is using a leading brand, such as Dulux, which provides technical assistance if needed and a guarantee on its products. What type of guarantee does the company provide? Your painter should be able to provide you with a written guarantee. This is a sign that they have the experience and technical skills required, and stand behind their service and materials they use. Choosing a painter shouldn’t be complicated or painful. If you are looking for a quality painter in the Canberra area with experience and excellent customer service, call or email us and we’d be happy to meet with you.